Birmingham, England’s second city and its industrial heart, is fast becoming a popular property investment opportunity for Gulf-based investors, according to Chestertons. Chestertons MENA said it will be targeting Middle East-based investors with the launch of a new development in one of Birmingham’s most sought-after locations at this year’s International Property Show, which opens at the Dubai World Trade Centre on Tuesday. Snow Hill Wharf, developed by the Berkeley Group’s newest brand, St Joseph, comprises a total of 406 luxury apartments with 34 one-bedroom and 99 two-bedroom units available during this second sales phase. Birmingham is one of the best-connected cities in the UK, thanks to AED14 billion of investment in transport infrastructure which includes the forthcoming high-speed railway network, HS2, which will cut journey times to London to just 49 minutes when completed in 2026. Further infrastructure redevelopment has taken place at Birmingham’s New Street Station, the Metro network expansion and the upgrade and expansion of Birmingham Airport. Nick Witty, managing director, Chestertons MENA, said: “Birmingham is fast becoming a popular property investment opportunity for Middle East investors looking to diversify their UK-based property portfolio. “Our most recent research has highlighted yields of 6 percent being achieved for one-bedroom units and 8.9 percent for two-bedroom units which is considerably higher than in London and several other large cities in the UK. “Strong yield prospects and capital growth has seen property prices in the city increase by 45 percent in the last decade, with further growth of 15.9 percent predicted over the next five years, an enticing proposition for many investors,” added Witty. Chestertons MENA said it will apply its wealth of experience in the MENA region to target UAE and Middle Eastern investors to showcase the second phase of the newly launched development. Prices start from AED1 million and include a mix of one, two and three-bedroom apartments. 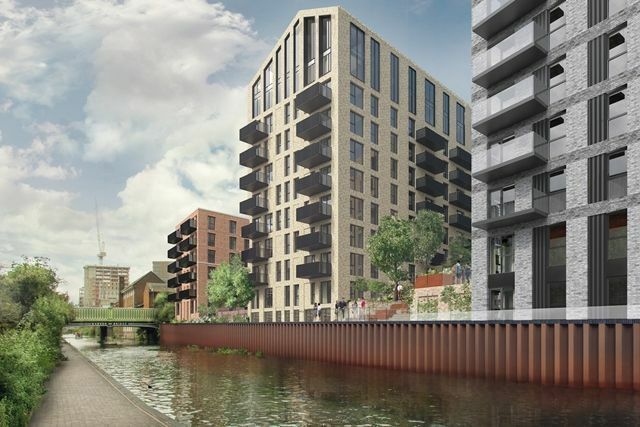 The development comprises five buildings within Phase Two including, the Fazeley and Colmore apartments slated for handover in the third quarter of 2021 and the first quarter of 2022, respectively.